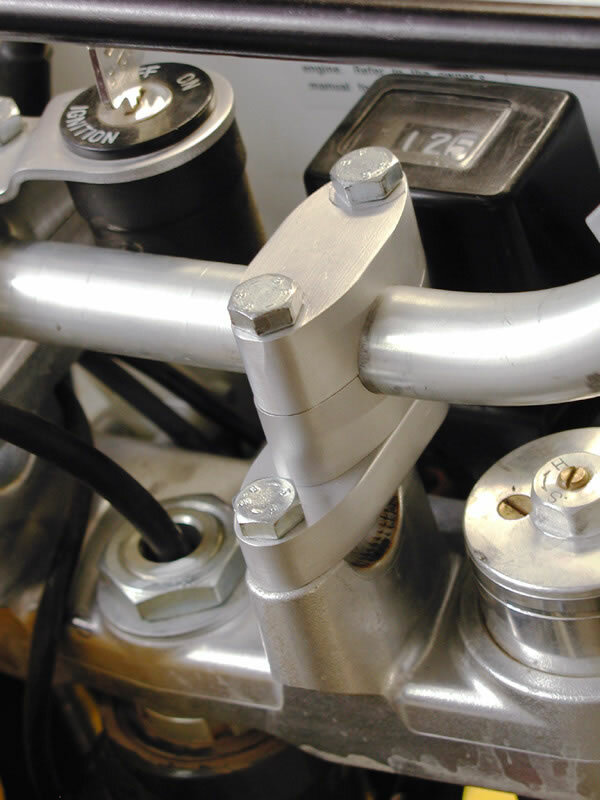 Advanced Motorcycle Products has two types of bar risers that will fit the KLR400 series of bikes. The first product is an offset bar riser that provides 1.25" of rise and 5/8" or 1" forward offset. These risers are best suited for poeple who spend a lot of time riding in the dirt while standing. These make standing more comfortable and also move your center of gravity over the bars to make turning easier. The key switch will have to be relocated so that only one of the two mounting holes is used. The reason for this is that the offset bar risers clamp bolt spacing is larger than stock. The S models require a spacer kit to move the speedometer forward about an inch. 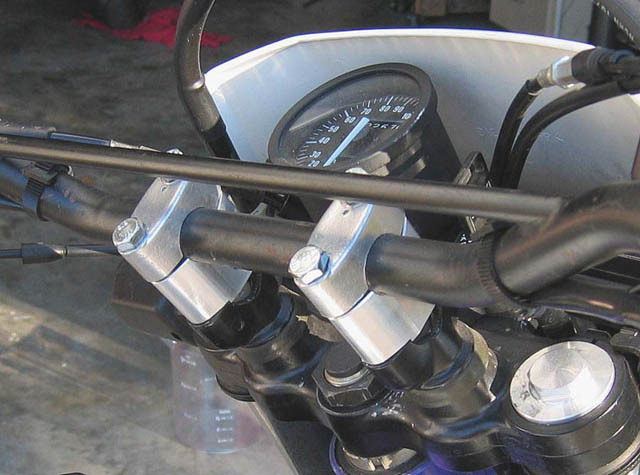 The second type of bar risers that fit the DRZ400 are the zero offset type that provide 1.25 in of rise to the bars. These risers require no modification of instrumentation or ignition switch locations. Just wanted to say I love the risers!!! I actually had other ones on but yours are higher and moved forward over the forks. I can actually ride better.